It’s our last kit of the year! Where does the time go? We’ve featured so many amazing products this year its getting harder and harder to top each box we put out….but we’ve pulled out all the stops with this one. An absolutely insane amount of value. If there was only one wet shaving kit you picked up this year, this is the one. 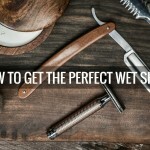 If you’ve stumbled across this post, we’re The Personal Barber wet shaving subscription. 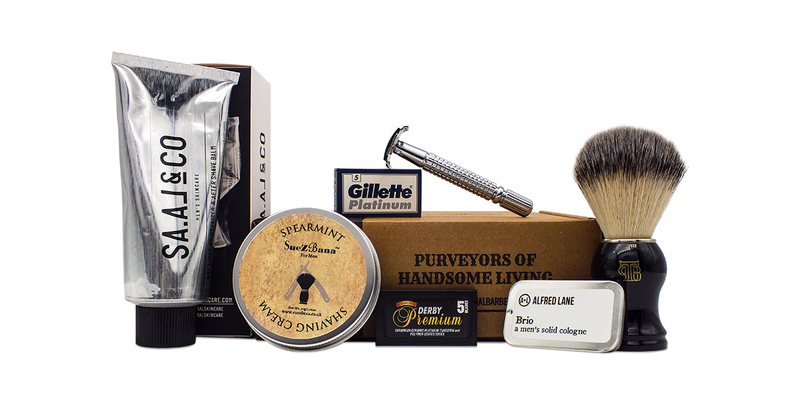 Every 6 weeks we curated a selection of only the finest wet shaving gear from all over the world with the sole purpose of turning our subscribers’ daily chore into a satisfying experience to look forward to. We’re spreading the word for the single blade razor because not only is it a joy to use, but it completely eliminates irritation such as razor burn, rash or bumps. If you’ve never used a classic safety razor or brush before, we’ll include one for free in your first box so you can discover just what you’ve been missing. Each kit follows a theme starting with shaving soap/cream, 10 DE blades and 2 mystery items that are always different and are drawn from a wide range of products by top quality brands from around the world. 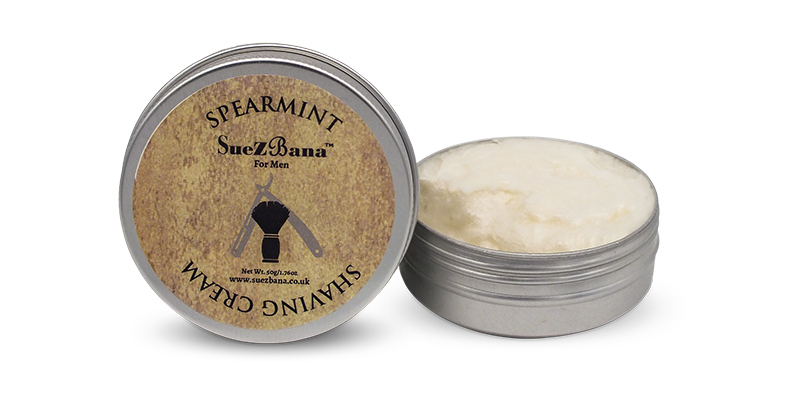 Suezbana is a small independent brand from Essex that specialises in natural handmade beauty products for men and women. Utilising high quality ingredients without parabens or any other nasties, they make truly unique skincare items. We featured one of their range a couple of years ago and it received rave reviews. This time we’ve gone for this addictive spearmint-scented shaving cream. 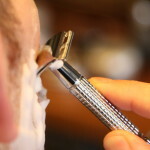 Only a small amount is needed as it produces a really thick and stable lather without any effort whatsoever so you can be sure of a really protective shave that lasts without needing to be reapplied. We found it to be quite a thirsty cream so you can keep adding water to it without fear of it getting too thin, perfect for lathering beginners. To use: Take an almond sized lump of cream and press it into your bowl or hand to increase the surface area. Then, using a slightly damp brush, swirl it in the shaving cream until a thick meringue-like lather is formed. 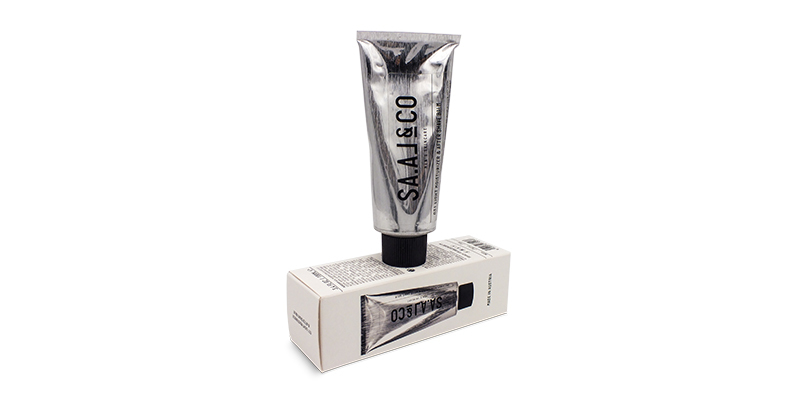 SA.AL&CO are a brand from Austria that create a wonderful range of products that are as effective as they are beautiful. Presented in brushed aluminium bottles, they have a premium feel whilst being much better for the environment as they are made from 99% recycled materials. We loved a lot of things about this brand, from the design of the labels that are inspired by 50’s/60’s Italian license plates, to the fact they source pristine alpine spring water as the base in all their products. Every little detail is accounted for. 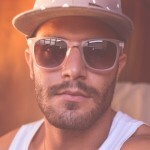 The balm itself is filled with skin-loving ingredients without being too heavy, which makes it ideal after shaving. Aloe vera and macadamia nut oil soothe any micro-wounds whilst being easily absorbed so there’s no greasy feeling. Shea and cocoa butter deeply hydrate whilst providing essential vitamins to help renew and protect the skin. Chamomile extract is used for its antiseptic and antibacterial properties and zinc PCA has antimicrobial properties that help the healing process. Top it all off with the smell of mint tea essential oils and you’ve got a highly effective balm that perfectly complements the featured shaving cream. 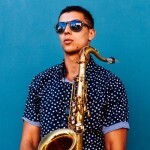 Although it suggests that it can also be used as a moisturiser, we found the best results were when used as a balm to be shortly followed my a more rich moisturiser. Always a fan favourite! Solid cologne is the unique form of aftershave you wish you’d known about for years. It’s portable, discrete to apply, and kind to the skin (no alcohol). Alfred Lane is an exciting brand that all started in 2013 by Rafael Hernandez. All his products are handmade and have gone from strength to strength ever since with their range expanding to luxurious candles and, most recently, fragrance oil. But solid colognes are where it all started. They’re made from a highly concentrated beeswax base without any water content, making it airport friendly, and allowing for a far more concentrated fragrance meaning a little goes a long way. 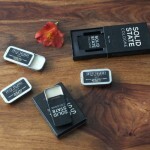 Due to its portable size you can keep it in your pocket and casually apply it without being obvious. Each application lasts a few hours depending on how much you put on. 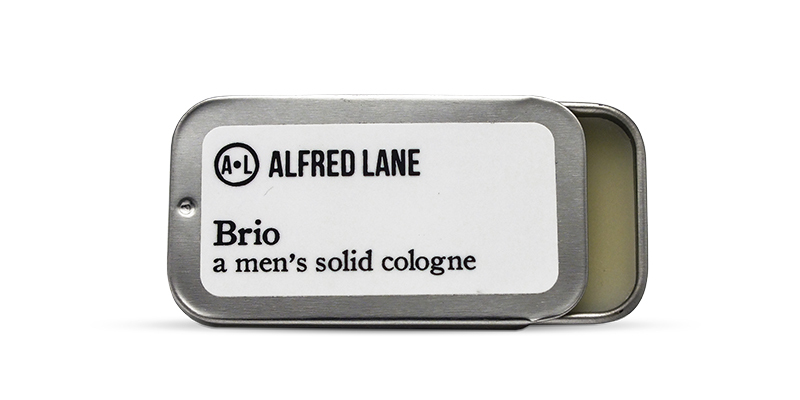 Alfred Lane have 3 wonderful fragrances and we’ve gone for Brio which is a seductive mossy, woody fragrance that is both musky and warm, combined with a blend of vetiver and spicy top notes. Perfect for the winter months! 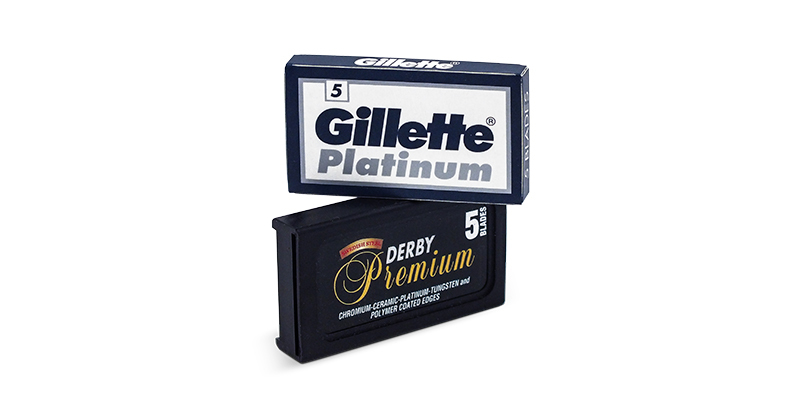 A relatively new blade on the market (within the past few years), these Derby Premium blades are made in Turkey using premium Swedish steel with a range of coatings (chromium, ceramic, platinum, tungsten and polymer) to increase blade life and glide. Much sharper than the original Derby Extras and with better longevity, these are excellent blades and a fine addition to the Derby line. Last 4-7 shaves.